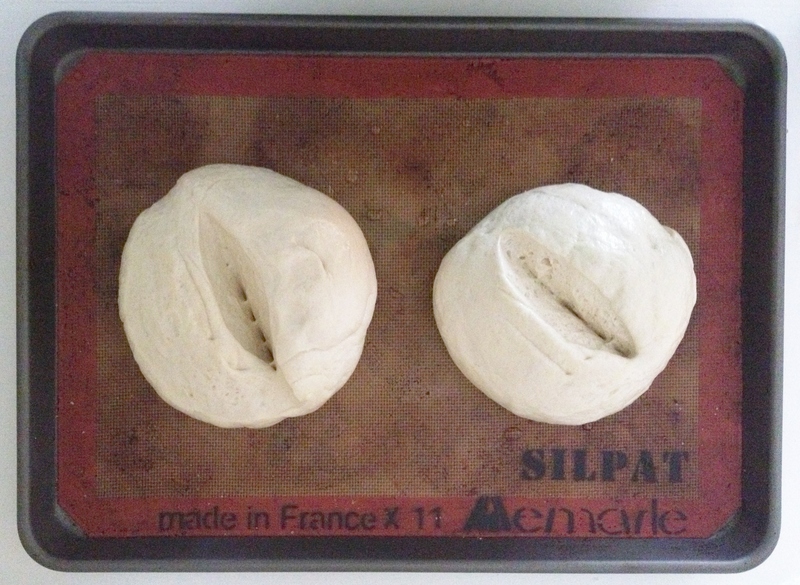 This particular recipe comes from my “bible”–Bernard Clayton’s New Book of Breads. It is literally the book to have if you really want to mess around with baking, more aggressive and complicated starters, steam oven breads, and even spoon breads. 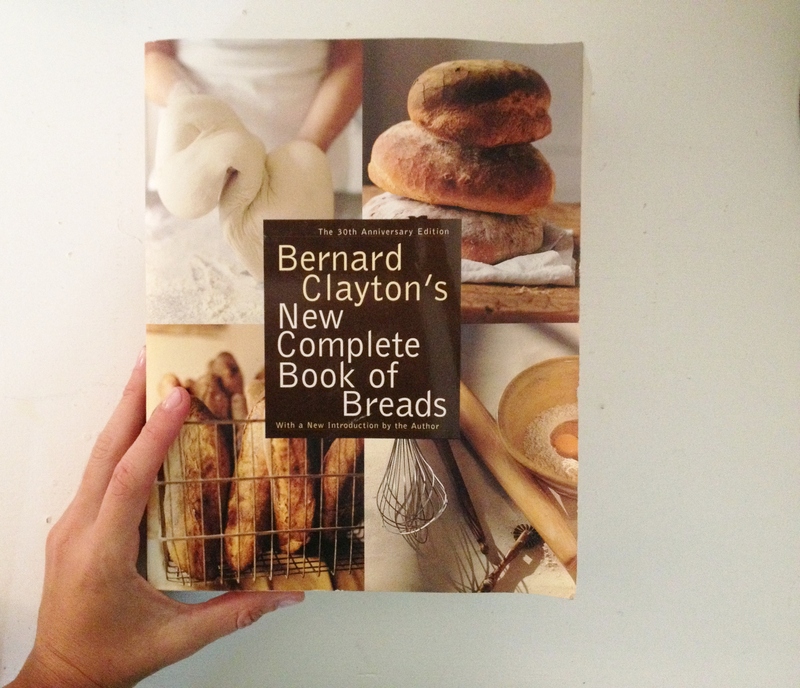 Plus, you get a great history of each bread and how Clayton discovered them. It’s great storytelling about food, and I adore it. Cuban Rounds are delicious; crunchy outside, softer in, and packed with flavor. Its great for toasting and jam and has a similar flavor profile to Horno Bread, which we Natives all eat. 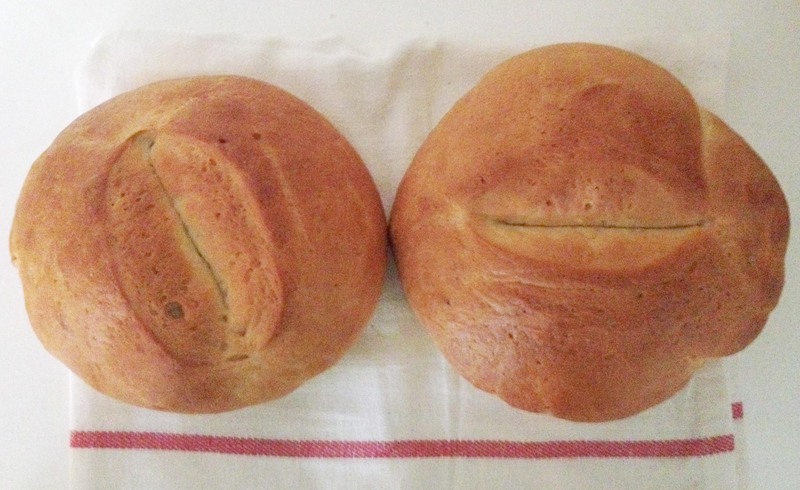 And it has a particular feeling of bread at my grandma’s, even though its not Horno, which is a pretty remarkable feat for a little cuban round. Baked in a steam oven and brushed with water before popping in, its just straight gorgeous. Success.